How is Europe going to stop ISIS in Libya? ISIS is shifting to Libya (which is in chaos thanks to the European-led fiasco there), and another 800,000+ refugees can be expected to swamp Italy. And “Europe”, in the shape of the EU, is both unprepared and has no strategy to face that challenge when (not if) it comes. The Russian intervention has succeeded not only in stopping ISIS advances but turning it into a clear retreat. The Russians have apparently a more determined – and more competent and effective – Syrian army on the ground than the US has with the Iraqi army. 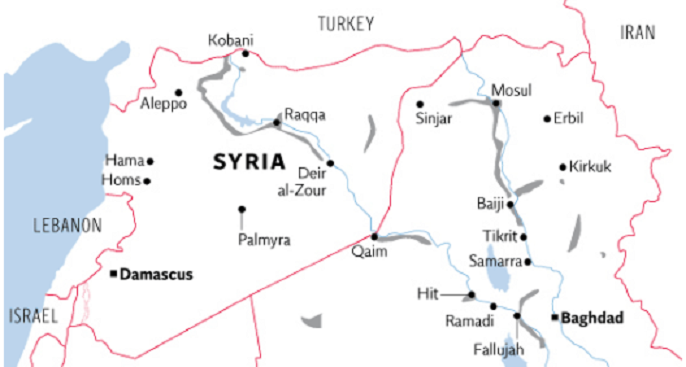 The next target for the Syrian army and Russia after retaking Palmyra could be Raqqa or possibly Deir al-Zour. The Iraqis and the US are making, comparatively, slow progress in retaking Mosul. But at least ISIS is not expanding territory in Iraq. Once ISIS loses control of Raqqa and Mosul, its remaining territory in Syria and Iraq will be less than the critical mass it needs to sustain operations. Its oil earnings would also dwindle without the physical control of territory. Just as the US support of opposition groups crippled Assad and allowed a vacuum for ISIS to fill, the European-led fiasco in Libya has only produced chaos with no clear group in authority. This has been exploited by ISIS. For some time now, ISIS has been preparing for shifting from its HQ in Raqqa and has been establishing a new HQ in Sirte (Surt) in Libya. ISIS has already established its version of Sharia rule in the area by carrying out executions and floggings in the town and in the surrounding areas all the way to Ajdabiya. 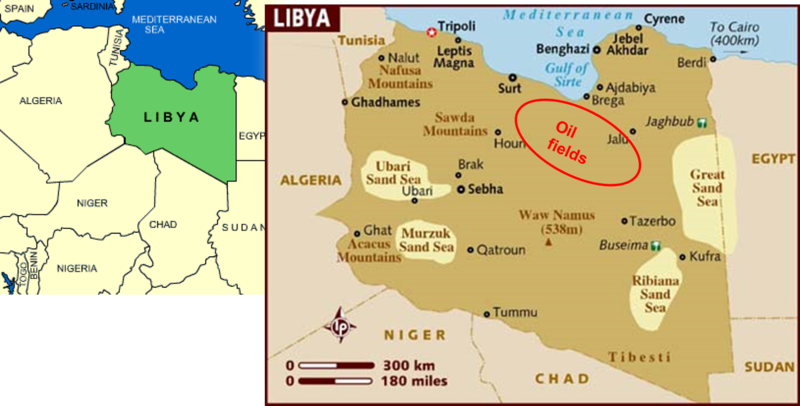 Controlling the Gulf of Sirte would allow the development of new source of oil revenues to make up for the loss of revenues in Iraq and Syria. The US, Europe and NATO are not doing much at this point in Libya to prevent ISIS from coming in. (There are reports of some special forces and snipers from the US and the UK operating in Libya but there is certainly no concerted effort to stop ISIS). The Russians do not have the same interest to intervene and so Libya is left wide open to ISIS by a bungling Europe. With the current chaos in Libya and the pressure it is facing in Iraq and Syria, I would not be surprised to see ISIS suddenly abandon Syria and expand in Libya. I suspect that the trigger could be the loss of Raqqa. There are also reports that Boko Haram (which has allied itself with ISIS) is facing pressure from the Nigerian army and is also planning a shift northwards to Libya. As ISIS expands territory in Libya (and perhaps also Boko Haram), a new wave of refugees into Europe can be expected. The French Defence Minister has estimated that this number could be another 800,000 people. There could be more if Afghans, Iraqis, Syrians and Somalis also start using the route through Libya to Italy. Italy could be swamped this autumn just as Greece has been in the last 6 months. The Russians have no great objections to additional pressure on Europe. In any case, they would be disinclined to intervene in Libya. The US will not intervene (even though they backed the ill-conceived European adventure to remove Gaddafi). There is no European planning – let alone any strategy – for this scenario. I see no European initiative which can be as decisive in Libya as the Russians have been in Syria. This entry was posted on March 28, 2016 at 9:50 am and is filed under Europe, European Union, Iraq, Libya, Syria. You can follow any responses to this entry through the RSS 2.0 feed. Both comments and pings are currently closed.